Cargo capacity: 7,000 lbs (3,175 kg). 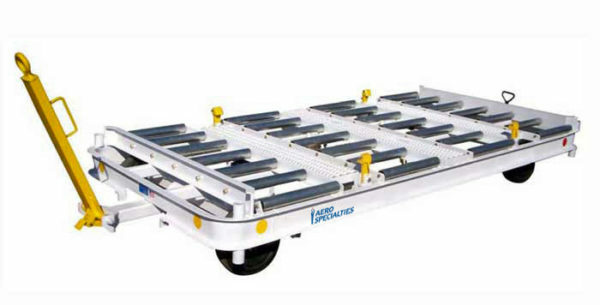 Holds two LD-3 pallets or one LD-11 pallet. Twenty-eight 2.5″ (6.35 cm) diameter Rollers. End guides at front and rear. Tires are 400 x 8 solid. Two walkways of 9.5″ (24.13 cm) wide grip strut.